Those living in the north who are looking to buy either a Cruze or a Spark, need not travel all the way to Metro Manila just to get their hands on a unit. Chevrolet Philippines--formally known as The Covenant Car Company Inc.--has announced the ceremonial unveiling of its first-ever dealership in Nueva Ecija. The facility, which will feature a floor area of 3,000sqm, will be located in the municipality of San Leonardo. Chevrolet Nueva Ecija will boast a 10-vehicle showroom as well as 12 service bays. It will likewise be equipped with the latest diagnostic instruments and servicing tools, in line with the American brand's best-in-customer-satisfaction rating by J.D. Powers. 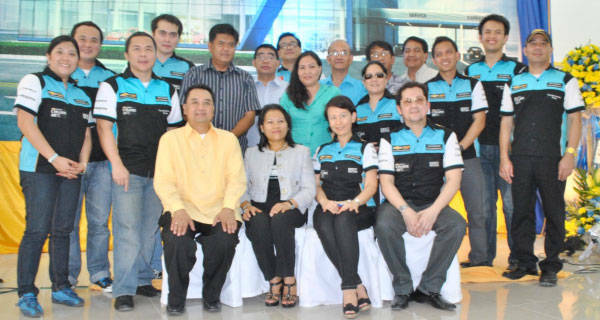 The Nueva Ecija dealership is just the latest development in Chevrolet Philippines' expansion program. Inheriting just 12 dealerships from the previous subsidiary office in 2009, TCCCI now targets 24 dealer partners by the end of 2012. "This is our first foray into the automotive retail industry, and we look forward to our partnership with Chevrolet Philippines as we begin this exciting new chapter in our business enterprise," said Chevrolet Nueva Ecija president and chairperson Jennifer Bote. The new Chevy dealership is owned and operated by JV Royale Motors Corporation, which is in turn a subsidiary of JV Power and Wealth Corporation. The ceremonial unveiling was attended by TCCCI executives led by their president and managing director, Atty. Albert Arcilla, and executive director, Selene Lee Yu. Aside from Bote, JV Royale Motors was represented by company directors Atty. Renato Villones, Engr. Joselito Madrigal, Arturo Sanchez, Babes Magpantay and David Balaong. "We welcome the latest addition to the Chevrolet family, and we look forward to expanding our business in Nueva Ecija, especially with our upcoming lineup of passenger cars and commercial vehicles," said Atty. Arcilla. "We are excited to open our very first dealership in the province, and we plan to further expand our network to coincide with our new product launches this year." Speaking of upcoming new models, do you know which new Chevy vehicles are arriving in our market this year? The Covenant Car Company Inc.